It is extremely important for our clients to be in the most efficient commercial real estate office space as possible considering rents are calculated on a price per square foot basis. 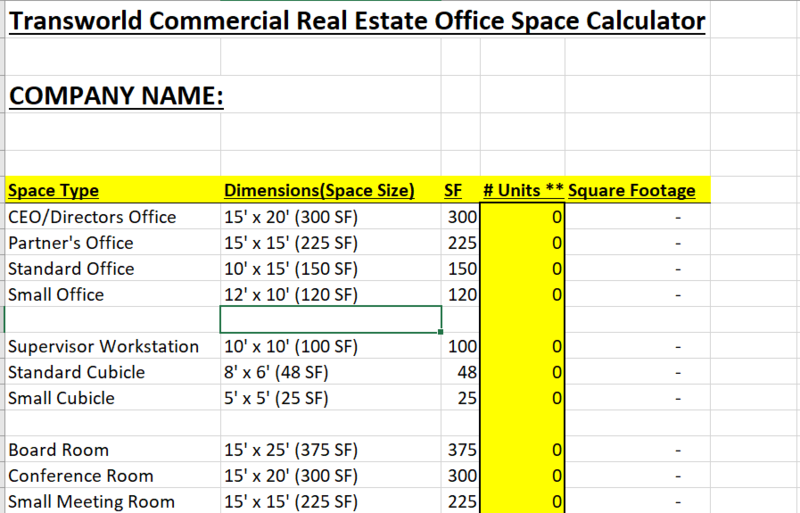 This office space calculator is a great way to identify your most effective floor plan and will help our team with your office space search process. Please take a minute to fill our office space calculator out and send it our way so we know how to best serve you when the discussion arises.